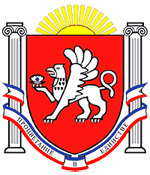 The capital city of Crimea republic: Simferopol. 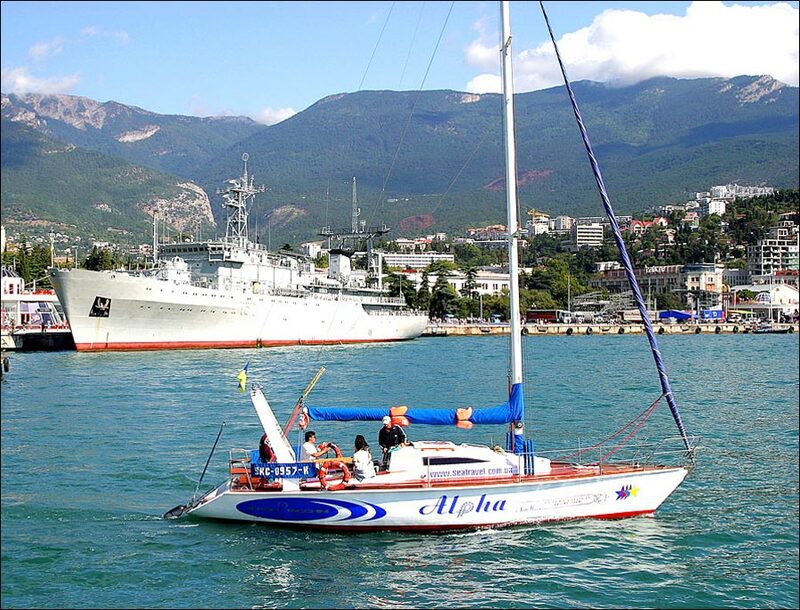 Crimea Republic is located on the Crimean Peninsula. 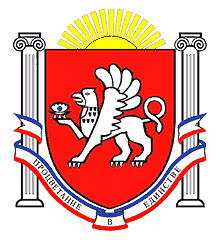 Simferopol is the capital city of the region. 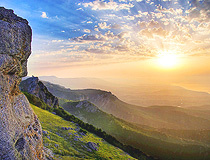 The Crimean Peninsula is divided into two parts. 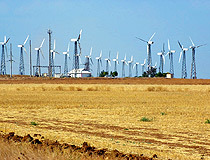 The first one is a steppe area, with huge open spaces and dry, hot summer. The other part is a coast with a subtropical climate. 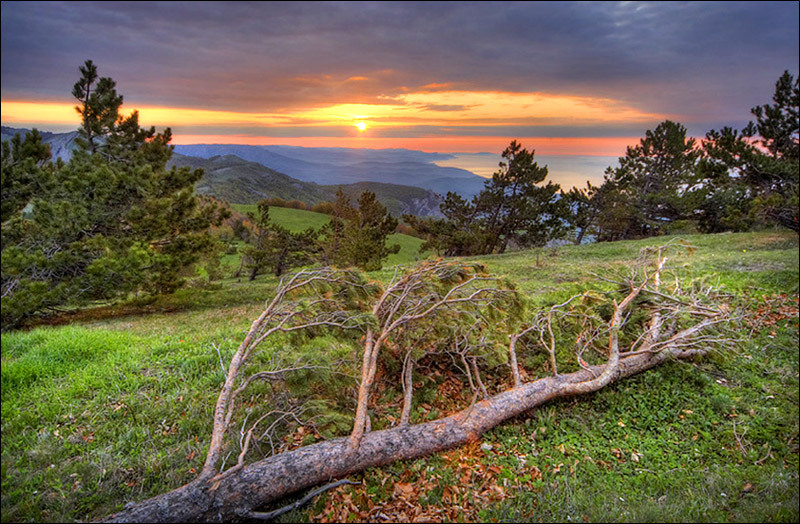 The natural boundary between the areas is the eye-catching Crimean Mountains with a dormant volcano called Kara-Dag. Land area - 26,081 sq. km. 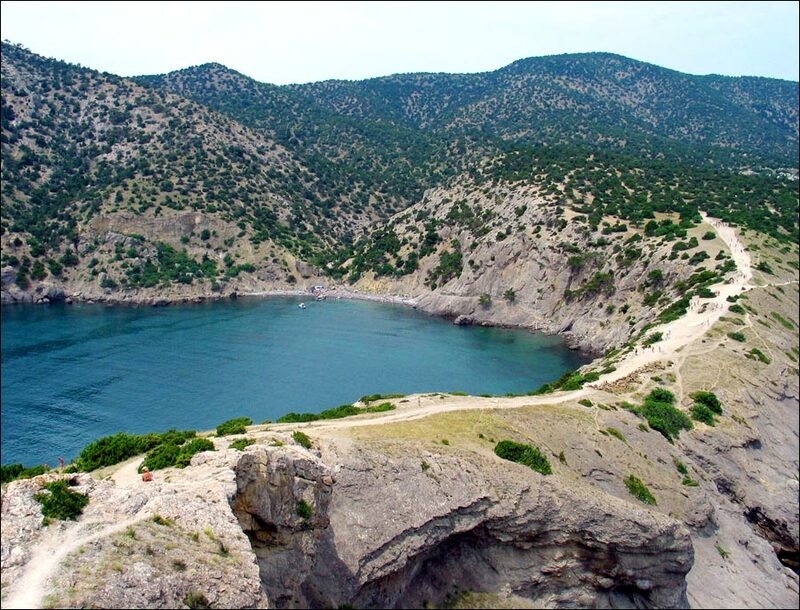 11 May, 2016 / Belaya Skala - a wonderful natural monument in Crimea. 12 November, 2015 / Fairy-tale forest on Demerdzhi in the Crimea. 13 May, 2015 / Fairy-tale forest in Baydar Valley in Crimea. 8 February, 2015 / Ice age in Crimea - ice-bound Chersonese. 27 January, 2015 / Moonrise over Mount Ai-Petri in Crimea. 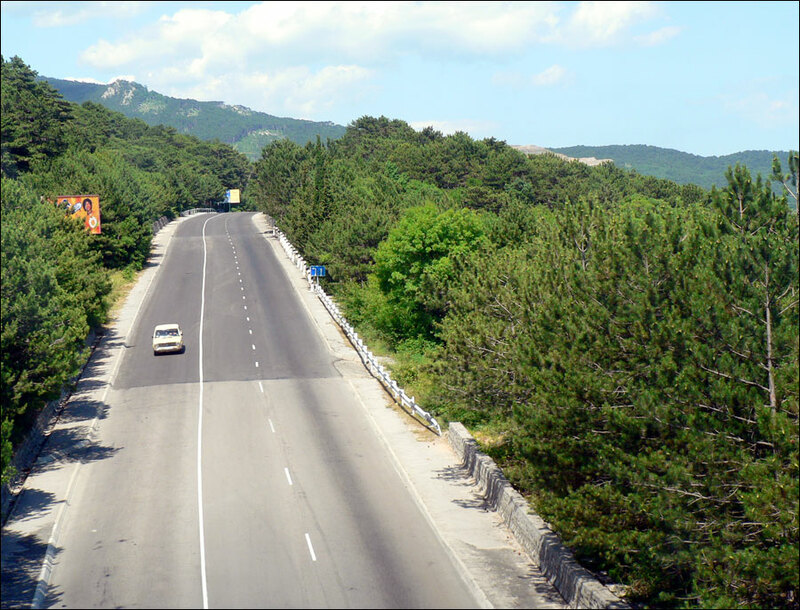 The current status of Crimea is disputed between Ukraine and Russia. De facto, it is controlled by Russia. 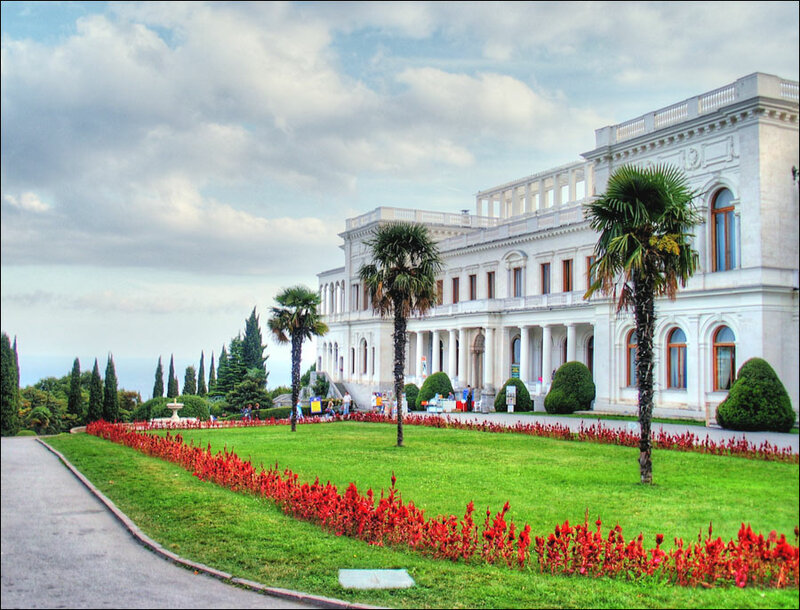 Crimea was one of the most famous resorts in the Russian Empire and the Soviet Union because of its warm sea, clean air and bright sun. 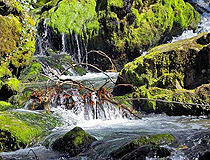 Other reasons include hot springs, mineral waters and the mud baths of Saky. 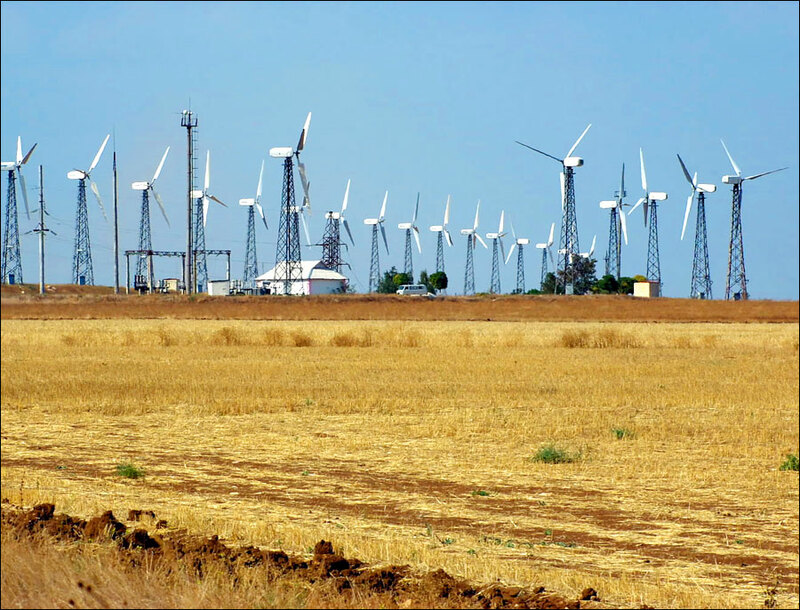 Industry: food processing, chemical and petrochemical industries, machine-building, fuel industry (oil extraction). Agriculture: grains, vegetables, fruits, grapes; cattle and poultry farming. 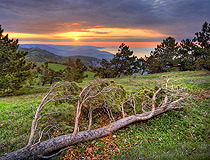 The Scythians established their kingdom in the steppes of Crimea in the 6th-5th centuries B.C. You can still see the ruins of the Scythian capital of Neapolis on the southern edge of Simferopol, present capital of Crimea. Greek colonies united to form the Bosporan kingdom near the Scythian kingdom in the 5th century B.C. The most important Greek colony was Chersonese, which was established at the place of the present-day Sevastopol. You can still see the ruins of the colony in Sevastopol, the second-largest city in Crimea. Chersonese became a vassal state of the Roman Empire about the time of Christ. 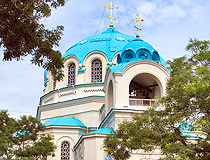 Christianity reached Crimea in the 3rd century. 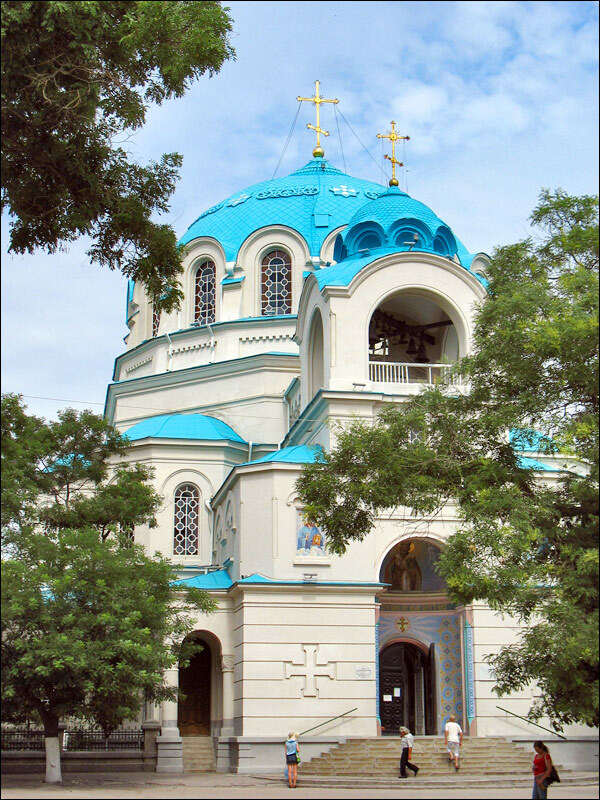 After forcing Chersonese to accept it, Prince Volodimir began establishing Christianity throughout present-day Ukraine and into Russia. Meanwhile, German tribes known as the Goths conquered the Scythians in the 5th century. 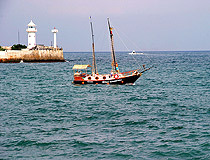 Italian traders from the city-states of Venice and Genoa captured some of the coastal lands of Crimea in the 13th century. Later, in the 13th century, the Mongols took the peninsula - then named Tauricia - and renamed it Kyrym, from which its present name is derived. Crimea was the seat of the Mongol Empire for two centuries. After winning the Russian-Turkish War of 1768-1774, the Russian Empire annexed Crimea. Russians, Ukrainians, Bulgarians and Germans flooded in to the area. In 1854-1855, the Crimean Peninsula became the main theater of the Crimean War between the Russian Empire on the one hand, and Turkey, England, France on the other. On February 19, 1954, Crimea was transferred from the Russian SFSR (present Russian Federation) to the Ukrainian SSR (present Ukraine) as a gift to friendly Ukrainian nation from Russians. With the collapse of the Soviet Union, Crimea became part of independent Ukraine. But the population was ethnically and culturally Russian for the most part. This led to tensions between Russia and Ukraine. 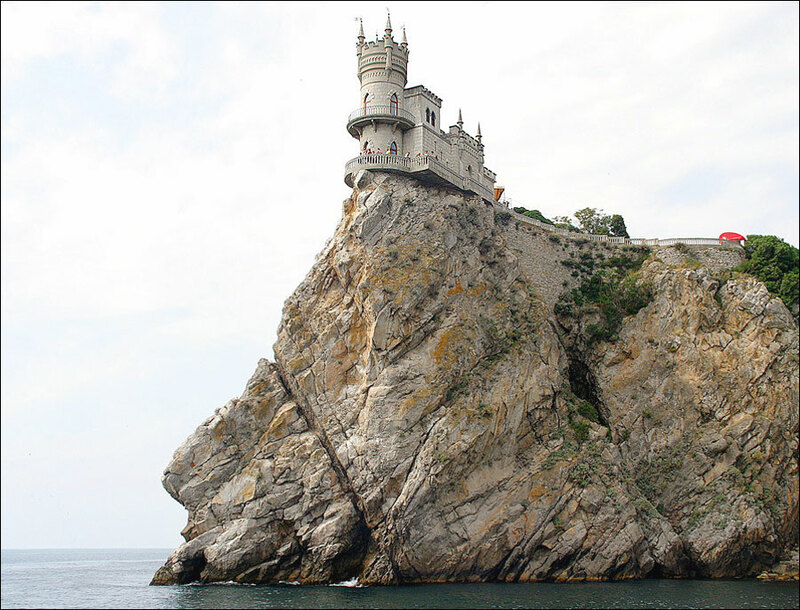 This incredibly beautiful building clings to a cliff right over the sea. The architect A.Sherwood designed it to look like a medieval castle. It was built in 1911-1912 in Haspra, above Aurora’s cliff. This open-air museum has more than 200 sculptures that represent various fairy tales. Crimean artists, wood carvers and stonecutters created them. The fairy-tale museum is a branch of the local historical museum. 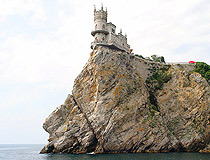 It is located about 3 miles from Yalta. This was the summer residence of Russian emperors in the 19th - early 20th centuries. The palace complex has 60 buildings. The centerpiece is the Great Palace, built in the Italian Renaissance style with some elements of Byzantine, Gothic and Arabic architecture. Yalta conference of 1945, during which Roosevelt, Churchill and Stalin completed plans for Germany’s defeat, was held on the palace grounds. 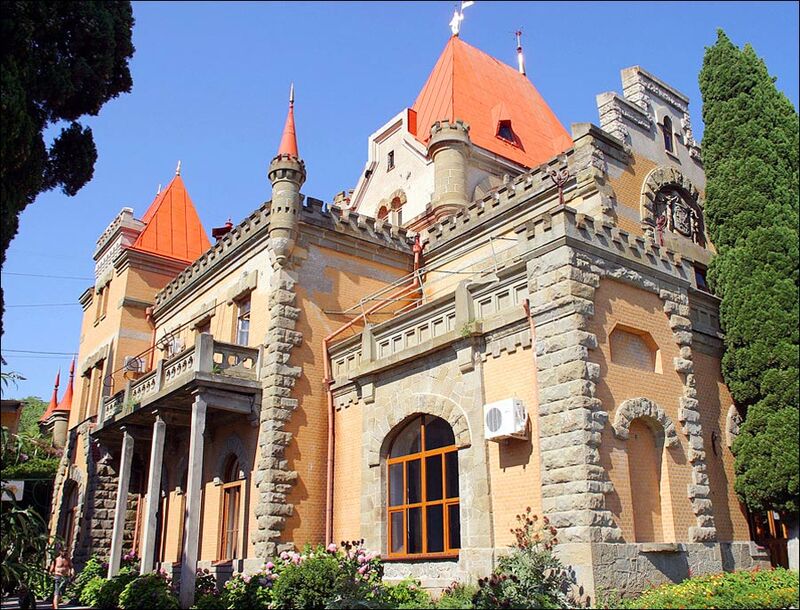 It is a gem on Crimean seaside with a gorgeous coastline and wonderful mountain vistas. Also, it is a grape-growing area. Genoese fortress was built between 1371 and 1409. It is one of the most important examples of medieval architecture in the world. The nearby village of Noviy Svet has been the center of champagne production since the 18th century. The area between Sudak and Noviy Svet includes two lovely grottos. 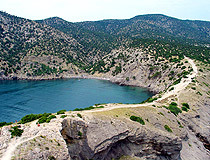 There are three lagoons in the area as well. 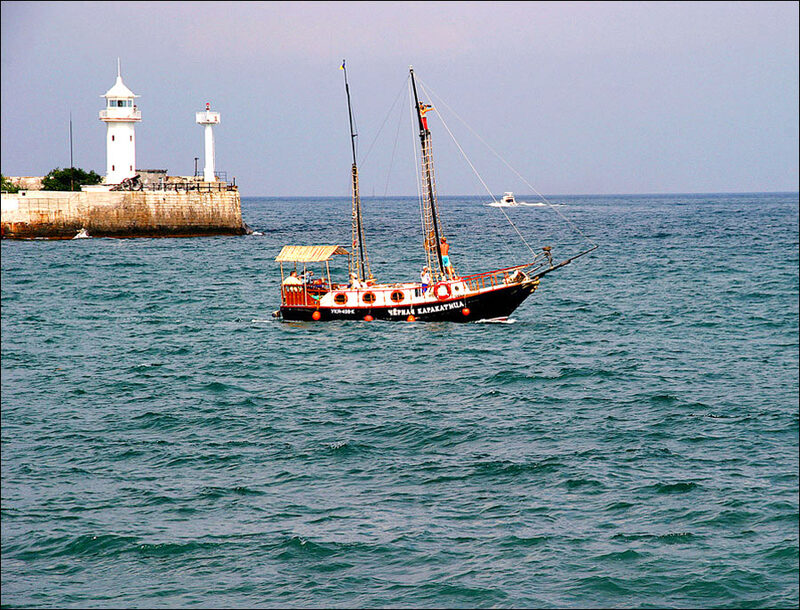 The green, blue and dark-blue waters make it one of the most picturesque seascapes in this part of the world. This superb example of architectural landscaping is a large scientific-research establishment and a nature preserve. More than 28,000 species and hybrids of tropical plants have been assembled here. The arboretum is one of the finest in the world. The trees and shrubs are planted in individual groups or picturesque clusters that blend into a single artistic design. Also, there is a wonderful rosarium and a special display of clematis and chrysanthemums. 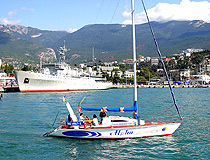 Yalta is the most famous resort on the Crimean coast. It is a beautiful, optimistic, light-hearted city. Yalta never sleeps. You can hardly notice the difference between day and night because everything is moving. Dana asks: News articles cite the Russian troops in Crimea are there to protect Russian citizens who live there. Is this a translation glitch? How many actual citizens of Russia live in Ukraine? I haven't found exact figures about the number of Russian citizens on the territory of Ukraine or in Crimea but if we are speaking about Russians as an ethnic group, they make up about 17% of total population of Ukraine (more than 50% in Crimea and 70% in Sevastopol). 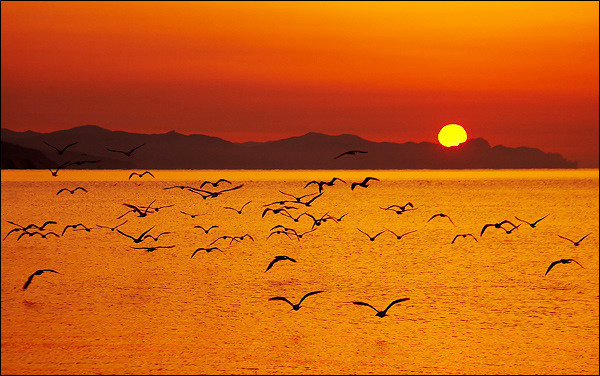 What a beautiful & enchanting peninsula!! 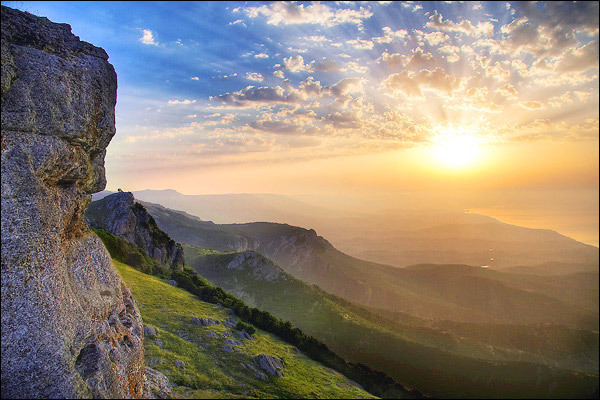 I cannot wait to visit Crimea and explore all the sights and historical buildings and to play in the sea and climb the amazing mountains. 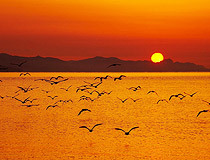 It will be fascinating to meet the inhabitants and really see how they live and get to know them.